What's our lost is Heavens gain.. I sure miss seeing you driving by the house waving at me. Mary was walking scripture on earth & I can only imagine the walks in Heaven. Rest Easy my Friend ! My Aunt Mary was a gracious and kind woman of integrity and faith. 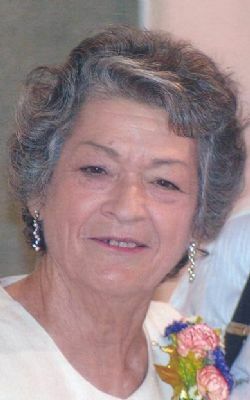 She loved all she knew and was a servant of our Lord Jesus Christ. She opened her home to many children and loved them like her family. I loved to visit with Uncle Elmer and Aunt Mary because they loved us unconditionally. My heart will always hold a place for them. You and Mac were some of the best neighbors we have ever had. I can't count the number of times you dropped what you were doing to help us whether it was babysitting, calling to check on us, helping us with birthday parties, or giving advice. We love you and are so grateful God placed you in our lives so long ago.